We are getting amazing results on our Kilimanjaro climbs. We have put over 2,000 people on the summit. We used to run 5,6 and 7 day trips but we have learned a lot from running hundreds of Kilimanjaro climbs. Now, we really only run 8 day climbs on Kilimanjaro. 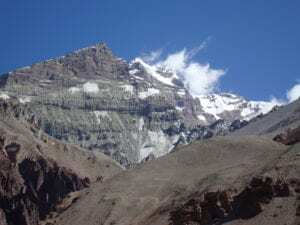 The Lemosho route over 8 days offers the safest and best chance of success. Here are our 10 most important reasons to climb Kilimanjaro with Ian Taylor Trekking. 1). The most important reason to choose Ian Taylor Trekking is that we look after our staff better than other companies. We pay above the normal rates and that is why we have hundreds of people looking to break into our crew. We have the same team on the mountain now for 8 years and deliver every time. We have two full time staff on the ground and we have the same guides, tent crew, chefs, security, servers. We have training in place for them and offer continued support for all our team. Some of our crew have been on trips in Nepal and our head guide is aiming to climb Mt. Everest. 2). We have the best chef on the mountain. Chef Ede has been working with us for 7 years now. We also have chef Jumaa and 4 kitchen support staff like Nelson who are on everything single Ian Taylor Trekking Kilimanjaro climbing trip. Nelson works the kitchen and also helps our team on summit night. We have 1 to 1 support on every summit night. Each staff member always does us proud and do an amazing job on our Kilimanjaro climbs. We also have two fresh food drops on the mountain making sure you and our staff have fresh food each day. Read some REVIEWS. 3). After extensive research and years of managing people at altitude we have adapted our service. We have adding more days of acclimatization. It is the only responsible way to offer high altitude trekking and climbing adventures. Yes this costs more as the National park fees for Kilimanjaro are already very expensive. In the long run we will have safer trips, with more enjoyment and a far better experience for groups and individuals. 4). We have 3 head guides and between them they have climbed Kilimanjaro more than 400 times. They have all trekked and some climbed in the Himalaya’s. Our head guide is aiming to climb Everest over the next 3 years and he has trained in Europe and the US. You are getting top class guides at Ian Taylor Trekking. 5). Professionally lead climbs is what you will receive on Ian Taylor Trekking and one of the key elements to a successful Kilimanjaro climb. We do not outsource our services. We have our own set up on the ground. Your success on Kilimanjaro will be down to a wide range of factors. If you want to be successful on Kilimanjaro the main reason is down to the pace we set each day on the mountain. Professional mountain guides understand that lower heart rates in low oxygen environments means you will be able to recovery quicker on arrival at camp. Lower heart rates means getting to rest quicker, recover quicker and sleep better. Yes you need to come physically fully prepared for the climb. If you do come full prepared, we will pace the trip giving you the best chance at safely reaching the summit and getting back down again. 6). We have a maximum of 10 people per team. We do not run big groups on Kilimanjaro. Your safety and safety of your team is really important. For our professional guides to get to know you and understand you is really important. With less numbers on the team, our guides can read subtle changes in your behavior and spot altitude related issues faster. 7). We evaluate your oxygen levels and heart rates twice a day. Checking your oxygen saturation from day 1 helps our team understand how you are adapting to the lack of oxygen in your body. We will check your oxygen levels in the evening and hope to see the same level or better the following morning. We will track this each day. This will help our team manage you correctly at high altitude. 8). We have invested in our staff, invested in their business ideas and have brought clothing for all staff members over the years. You will see them in Ian Taylor Trekking branded gear. We continue to support our staff as much as we can. They are amazing people doing a hard job, in hard circumstances and we look after them and pay them properly. 9). Ian Taylor Trekking sponsor children to go to school. We believe in the staff and people who support our trips. Responsible tourism is an essential part of our plan to succeed in business. We believe we have a duty to help others as much as we can. We support the work at the Mt. Everest Primary school in Uganda, we support a local orphanage in Tanzania and we have built school in Nepal and help the local village and region where are staff come from. You can also help. 10). 5 days a week office support prior to the trip and 24/7 office support while you are on the mountain from our office in Tanzania. We have 2 full time staff working on the ground in Tanzania. One will be on the mountain and the other on the ground in Arusha. All our staff in our US office have climbed Kilimanjaro and we have over 30 summits on the end of the phone ready to help you get the right information in your preparation for your Kilimanjaro climb. Avail of our experience it can make all the difference.